Upon completion of a grueling four day work week for the Federal Government. 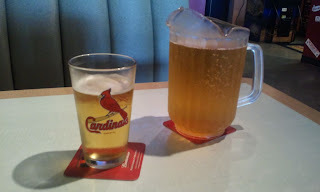 There was but only one equitable mode of bringing this work week to a close.....a pitcher of Budweiser. The nectar of the Gods. This is the picture of the day.